The State of Delaware mandates that a dog owner is liable for bodily injury, personal injury or accidental death caused by the owner’s dog. There are certain situations that circumvent the dog owners liability, as in the case of a person getting bitten while tormenting a dog or attempting to harm the dog owner. Being attacked by a dog warrants the help of an experienced Delaware personal injury lawyer in handling animal attack claims. If you have been bitten by a dog or attacked by a domestic animal in Delaware, call The Freibott Law Firm at (302) 633-9000 or (302) 227-9559 regarding your legal rights. 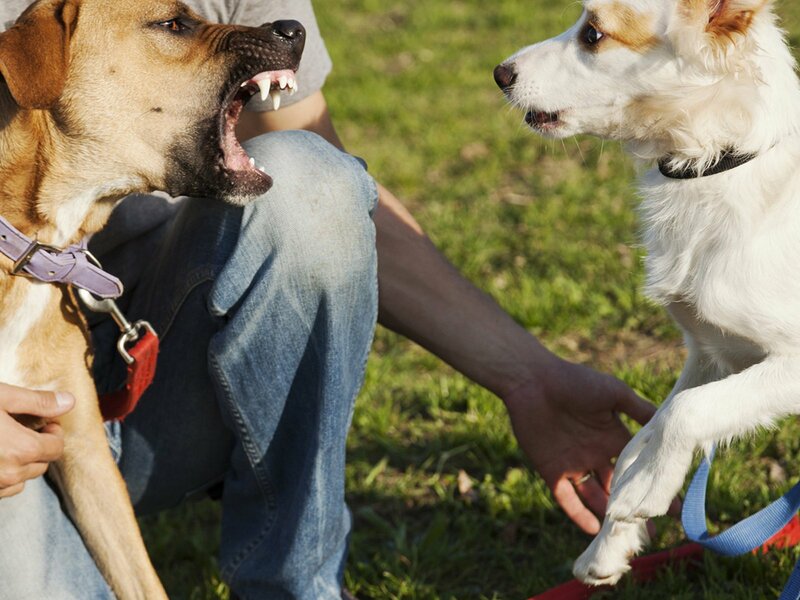 If you have been attacked by a dog on someone else’s property, you may be entitled to benefits and compensation under Delaware personal injury law and premises liability law. Incidents happen, of course , and some injuries are simply inevitable. However , in many cases, the negligence or irresponsibility of others leads to an otherwise preventable problems for occur. In these scenarios, injury victims could possibly have a right to go after compensation from the man or party in the wrong. If you have suffered an overuse injury caused by someone else, the actual legal team in the Freibott Law Firm may help you seek justice and also secure the full financial compensation you ought to have. You may assume improperly that there is nothing that you can do to improve your situation or perhaps better your statements post-accident. That is not true. Consult with some sort of Delaware auto accident law firm immediately. It is a smart idea to request an initial assessment with one or more Wilmington DE car accident legal professionals as soon after your own wreck as possible. You must do this only after appropriate medical treatment is actually obtained and finished. Our lawyers may help you understand your privileges and options, and how to best protect your current legal interests post-accident. Suffering a serious injury can be a difficult knowledge for injury sufferers and their families. With regards to the extent and severeness of a person’s damages, he or she may need to seek out costly medical treatment in order to recover from his or her accidental injuries or at least stabilize typically the individual’s health. It can possibly be necessary to neglect considerable amounts of perform while recovering from the particular injury, leading to some sort of loss of wages which could put the person inside a stressful financial situation. Delaware workers who are harmed on the job have a legal right to pursue workers' compensation benefits. These kinds of benefits cover the cost of medical care and missing wages. Workers’ pay out is a form of insurance policies providing wage substitute and medical benefits in order to employees injured in the course of employment in exchange intended for mandatory relinquishment in the employee’s right to drag into court his or her employer for that tort of carelessness. While various ideas differ, provision could be made for weekly obligations in place of wages, compensation for past as well as future economic burning, reimbursement or transaction of medical and just like expenses, and advantages payable to the dependents of workers murdered during employment. The idea for workers’ payment insurance is that the damage suffered by an employee due to an business injury should be début directly by the business in which the employee seemed to be hired and ultimately by the general public. Consequently, workers’ compensation is really a “no fault” method and an injured employee need not build that his boss was negligent to be able to receive a compensation prize. Delaware workers who are damaged on the job have a right to pursue workers' compensation benefits. These types of benefits cover the buying price of medical care and lost wages. Workers’ compensation is a form of insurance policy providing wage replacement and medical benefits for you to employees injured in the course of employment in exchange for mandatory relinquishment with the employee’s right to sue his or her employer for that tort of neglect. While various options differ, provision might be made for weekly bills in place of wages, pay out for past and future economic decline, reimbursement or settlement of medical and similar to expenses, and rewards payable to the dependents of workers murdered during employment. The theory for workers’ settlement insurance is that the burning suffered by a workforce due to an professional injury should be limite directly by the marketplace in which the employee seemed to be hired and circuitously by the general public. So, workers’ compensation is really a “no fault” program and an hurt employee need not set up that his employer was negligent to be able to receive a compensation prize. Crashes happen, of course , and a few injuries are simply inescapable. However , in many cases, often the negligence or recklessness of others brings about an otherwise preventable injury to occur. In these circumstances, injury victims could possibly have a right to pursue compensation from the man or woman or party to blame. If you have suffered an accident caused by someone else, the legal team with the Freibott Law Firm can assist you seek justice as well as secure the full monetary compensation you should have. Suffering a serious injuries can be a difficult practical experience for injury patients and their families. Depending on the extent and severeness of a person’s problems, he or she may need to seek out costly medical treatment so that you can recover from his or her accidental injuries or at least stabilize often the individual’s health. It can possibly be necessary to skip considerable amounts of function while recovering from the actual injury, leading to some sort of loss of wages that will put the person within a stressful financial situation. You may assume inappropriately that there is nothing that you can do to improve your situation or better your promises post-accident. That is not really true. Consult with a Delaware auto accident legal representative immediately. It is recommended that you request an initial appointment with one or more Wilmington DE car accident legal professionals as soon after your wreck as possible. You should do this only right after appropriate medical treatment will be obtained and finished. Our lawyers can help you understand your rights and options, and how to best protect your own personal legal interests post-accident.